Great goals! I did my post today too! You can totally do a sub 2 half! 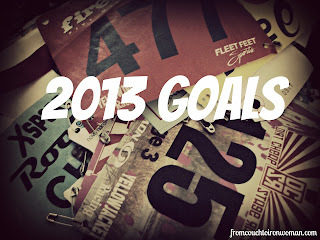 I am totally aiming for triathlons in the new year too :) Including the half Ironman I have signed up for! That sounds like fun, I should look into that! I think you need to make your total SBR goal larger because 500ish miles of biking will be easy (even little old me did over 800 last year). Just not much of a stretch goal (though 1500 running is a HUGE stretch goal - way outside of what I can ever imagine). Can't wait to read all about your journey to your first HIM. Oh I'm definitely going to do more than 500 miles of swimming and biking, but I guess it's a fall back goal if I don't hit 1,500 miles of running. I hope I do though! nice! 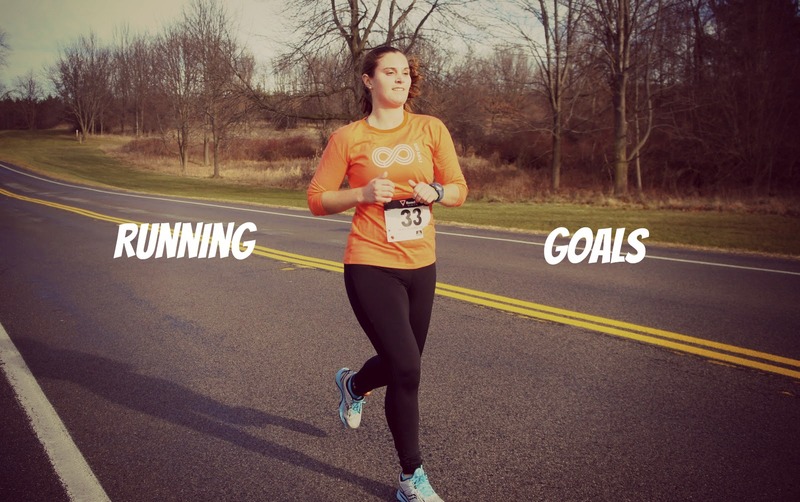 I'm doing 13 in 13 too- Half Marathons. your goals seem much more difficult. tri is like a foreign language to me. It looks like you'll have a busy 2013! Happy New Year! 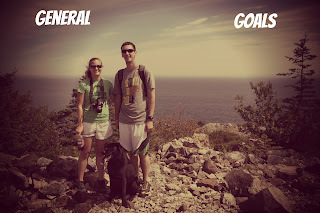 I did my goals post today too and love reading everyone's. You have so many great goals. I am focusing on 13 in 2103, but I would love to add a relay. I have never done one. 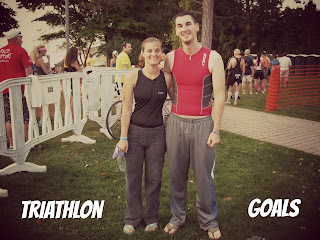 Oh, and goal 2 - my first tri. Be prepared for lots of confused emails come summer. Awesome goals! I am diving head first into the world of triathlons after dabbling in them over the past few years. What 70.3 are you doing this year?! I am doing Timberman in NH in August and it will be my first :) Looking forward to following your training and best of luck in 2013! My husband and I are doing the Musselman Triathlon in Geneva, New York on July 14th. Good luck with your 70.3! you know what i love the goal of running a race with friends, that's something I really want to do as well! Love these goals! Working on my post currently, but glad I stopped by to read yours! :) Can't wait to follow along!